Dr. Kimberly Pascos completed her B.Sc.H. degree in Biological Sciences with a minor in Sociology, in 1992, at the University of Guelph. She went on to complete her Doctor of Veterinary Medicine degree at the Ontario Veterinary College in 1999 where she was honored to receive 2 awards (The Molly Carrington Memorial Scholarship Prize and the Beloved Friends Award). Both in recognition of her compassion and high standards in patient care and welfare. 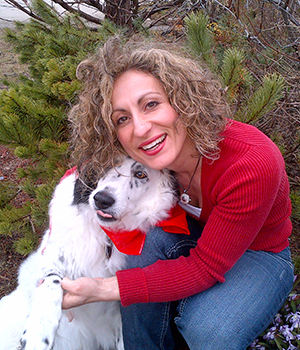 Kim has been an active part of the team at Campus Estates Animal Hospital since 2003. With her background in laboratory animal care, she acquired a special interest in the area of exotic/pocket pet medicine and surgery along with an interest in small animal intensive care, internal medicine and clinical pathology. She enjoys exploring and building upon her skills and knowledge in these areas through a variety of veterinary forums, enabling her to provide the most recent, up to date diagnostics and treatments available to our patients. “I love what I do and I want all my patients and their families to receive the best care that I can provide them,” she says. Kim has participated in the Ontario Veterinary College Mentorship program providing guidance and support to student veterinarians as they work through their veterinary degree. She continues to actively participate in youth programs encouraging young girls and teenagers to explore professions in the sciences, and acts as a role model in work/life balance. When she is not working, Kim enjoys spending time with her husband Panos and 2 children (Samantha and Mitchell) hiking, camping, biking, swimming and travelling. Her animal family includes a lovely Border collie/Australian Cattle dog named Louie (who has lovingly re-landscaped the backyard), 2 cats (Cinderella – the “princess” and Eddie – the “destroyer”) and Sparkles the fish.